#MoviesMusicPlaysFilmFestivalsConcerts: News: Venice-winning BLACK SOULS (Anime Nere) opens April 24 in Los Angeles! 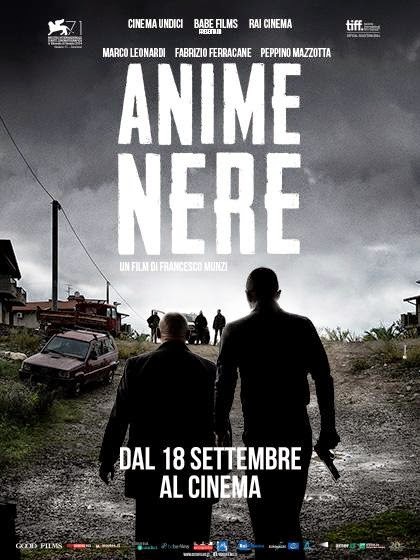 News: Venice-winning BLACK SOULS (Anime Nere) opens April 24 in Los Angeles! Vitagraph Films to Open Francesco Munzi's BLACK SOULS (Anime Nere) in Los Angeles on April 24 at the Nuart Theatre! Winner of four 71st VENICE FILM FESTIVAL awards! Based on real events described in Gioacchino Criaco's novel, BLACK SOULS (ANIME NERE) is a tale of violence begetting violence and complex morality inherited by each generation in rural Calabria, a real-life mafia ('Ndrangheta) seat in Southern Italy. The Carbone family consists of three brothers, Luigi (Marco Leonardi) and Rocco (Peppino Mazzotta) who are engaged in the family business of international drug trade and Luciano (Fabrizio Ferracane) who has remained in the ancestral town of Africo in the Aspromonte mountains on the Mediterranean coast - herding goats. His 20-year old son Leo (Giuseppe Fumo) has little respect for his farmer father, but idealizes his Mafioso uncles. When Leo shoots up a bar owned by a rival family with a longstanding blood feud with the Carbones, his reckless actions create trouble that brings the whole family back to Africo for the inevitable bloody showdown.